You can come try ringette for FREE! Bring a friend, or three. 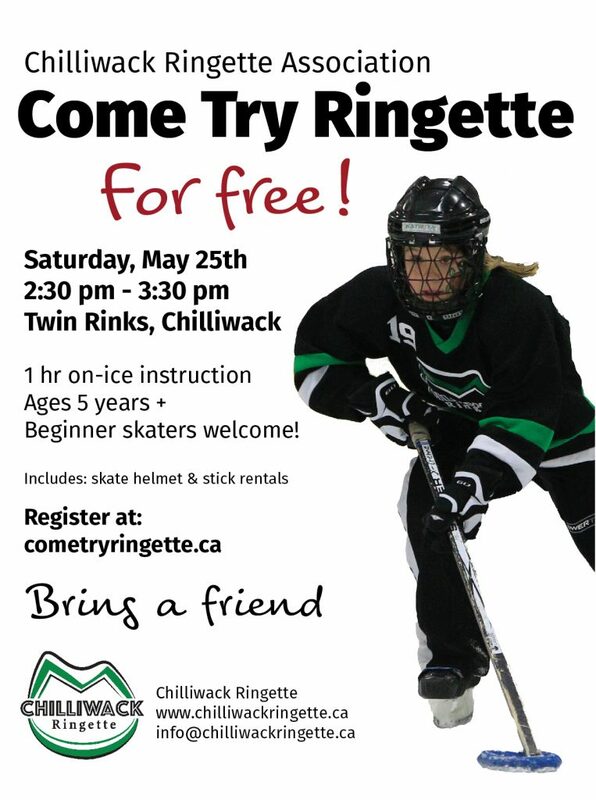 We are holding our next Come Try Ringette event on Saturday, May 25th from 2:30 – 3:30 pm at Chilliwack Twin Rinks. You bring some warm clothes and gloves and we provide a helmet, skates and a ringette stick. Ages 5 and up!